April 2003. Cyprus joined the European Union and the Turkish Cypriot Pseudostate hurries to profit from the situation. It opens the borders and allows the Greek Cypriots to visit their cities and their villages in which they were living (they and their ancestors) for thousands of years. With pain in soul but also with tears in the eyes refugees and not, run to see their homeland conquered by the Turks . From the one side the nostalgia of thirty years and from the other the fear, the hate and the indignation for the enemy that cut their life in two and turned away the grin from their lips that day of July 1974. He recalls and sheds tears! 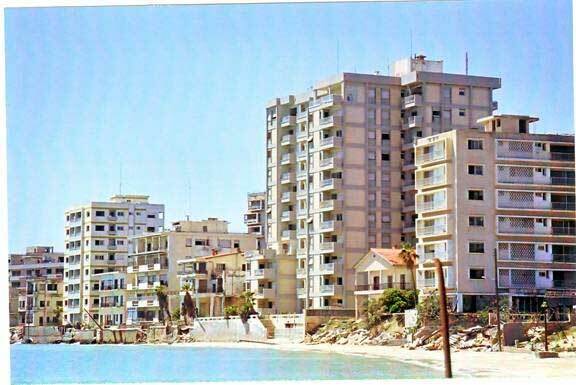 He sees Famagusta, the city where he was born, and did not anticipate to enjoy. The time has stopped on 14 August 1974. The Turks with the pretext of protection of rights of the Turkish Cypriots and with the right of a Guarantee force took the power to invade and to conquer the island and with it Famagusta. 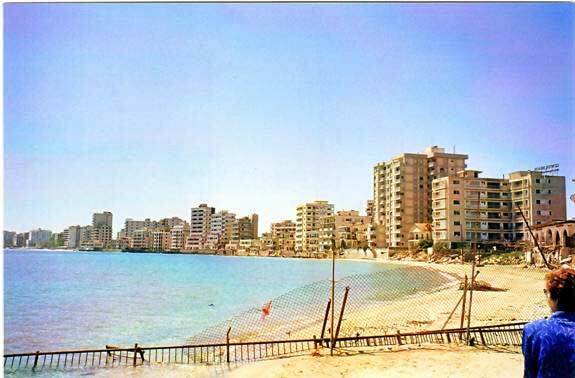 Famagusta with the golden sandy beach, the modern hotels, the innumerable tourists from all the world, the most beautiful and richest city of Cyprus. And now it appears in front of us, deserted and uninhabited. Grasses sprouted everywhere in the cracked due to the time streets and barbed wires. Everywhere barbed wires and soldiers guarding the ruins for thirty four entire years. To make the enclosed Famagusta. And the sea with the fully gold sandy beach anticipates her inhabitants to dive in her light blue and clear waters. To fill again the hotels with world and cheerful voices. Begins the life from there that stopped. Become all as before ! 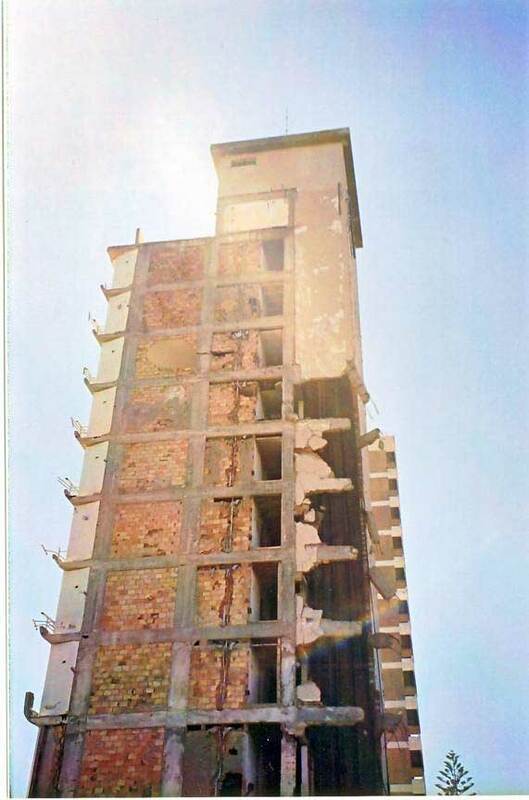 Famagusta 2003. The time has stopped in 1974. September 2009 and the city continues being enclosed ! Greek Cypriots visit their bombarded from the Turks, Famagusta after the opening of borders from the Pseudostate Denktas. Year 2009. 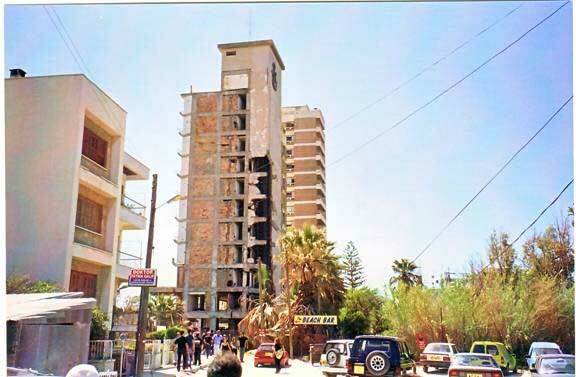 Cyprus, a country of the European Union continues having 37% of its territory under Turkish occupation, the city of Famagusta enclosed and uninhabited and without a right of her residents to return to their houses.